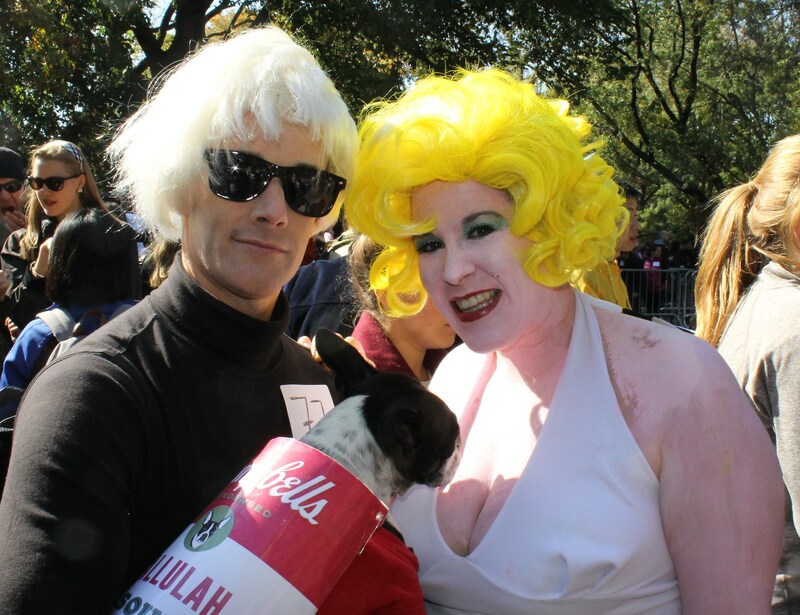 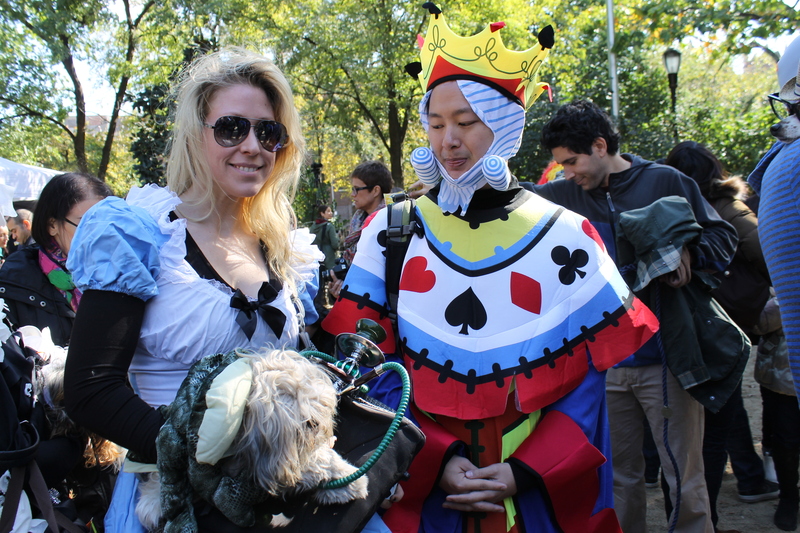 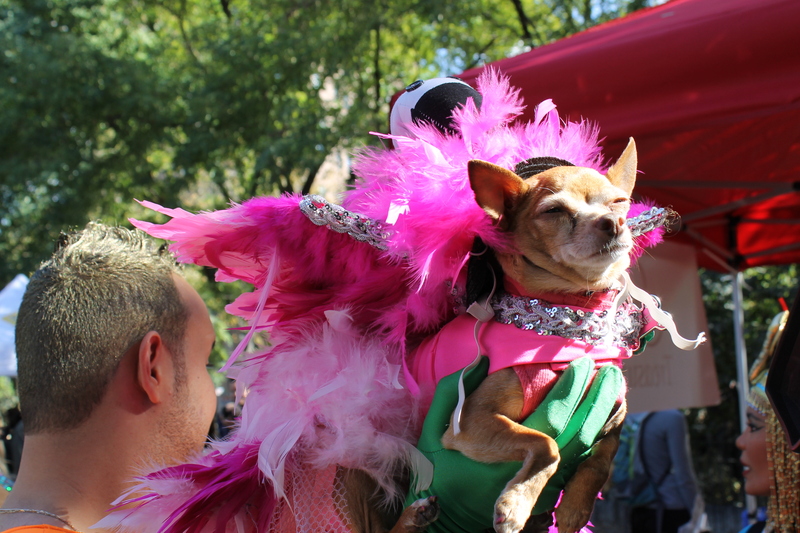 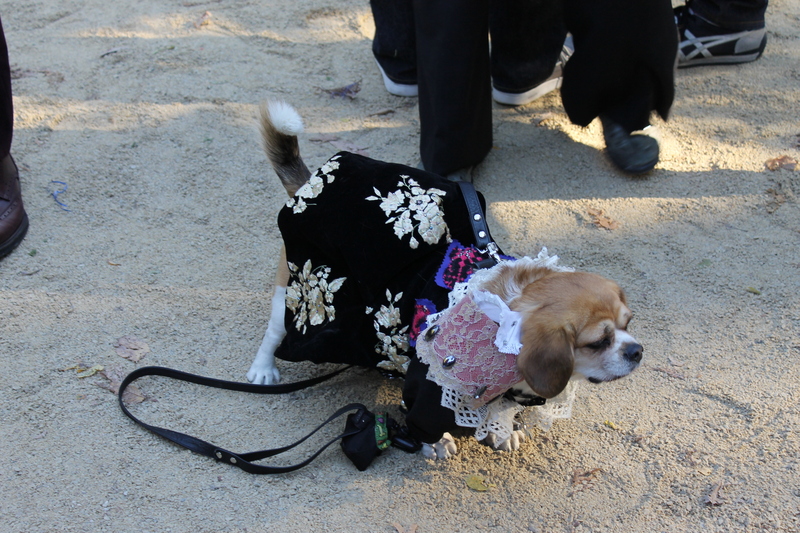 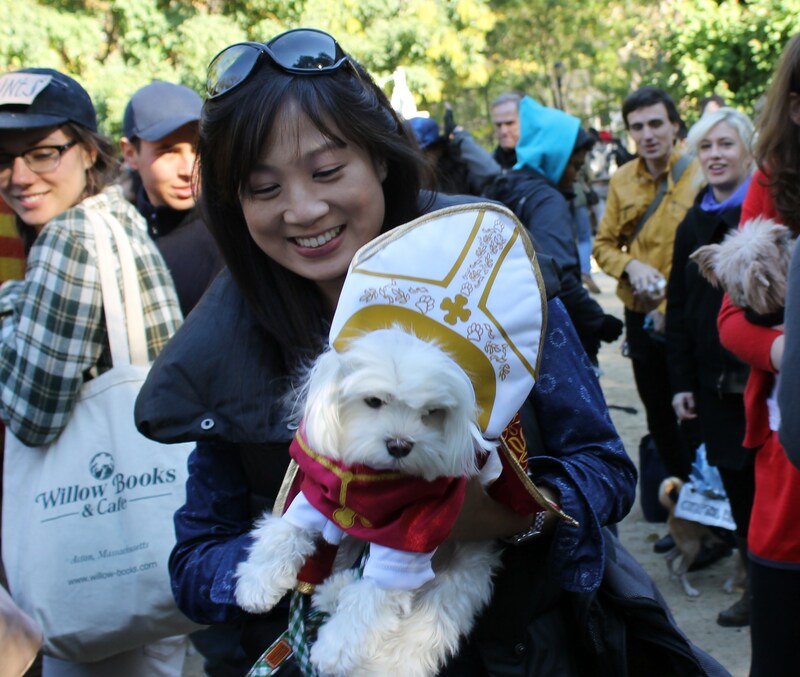 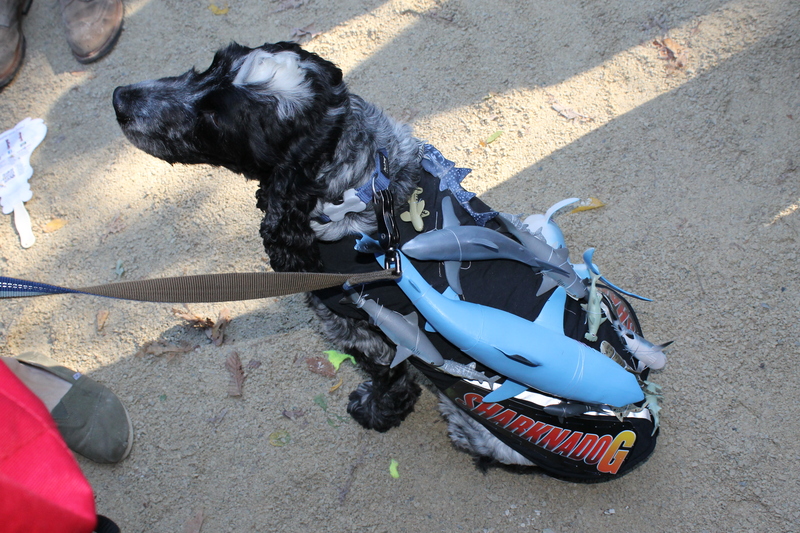 Every year for the last 27 years, our four legged friends have dragged their owners out to the grandest display of dog fashion and creativity in the Annual Tompkins Square Halloween Dog Parade. 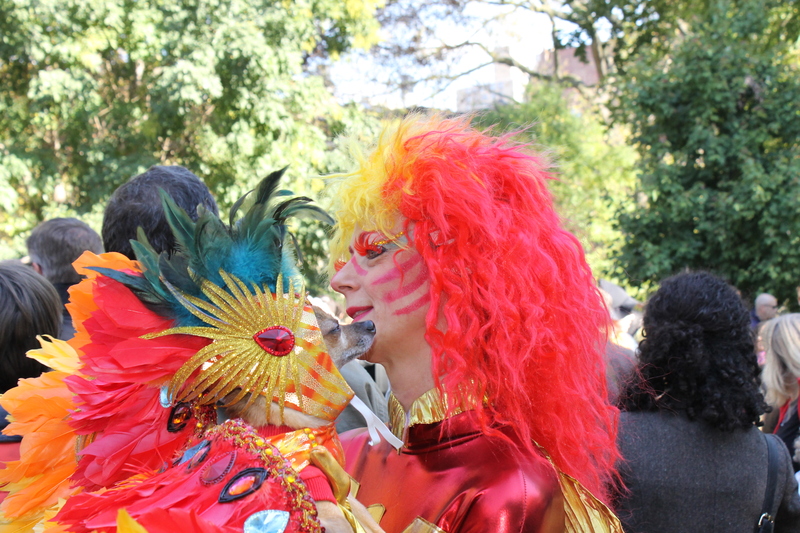 This is said to be the largest parade of it’s kind in the country and quite possibly the world. 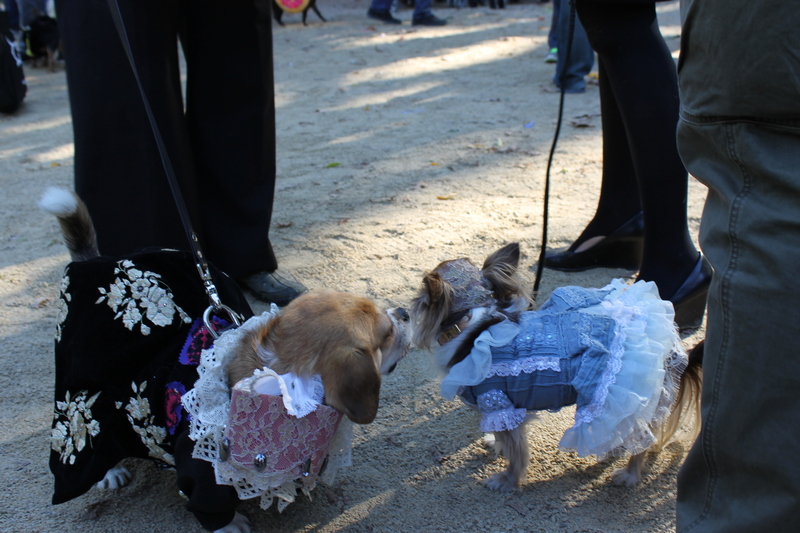 The event wags its tail every year with media coming in from all parts of the country. 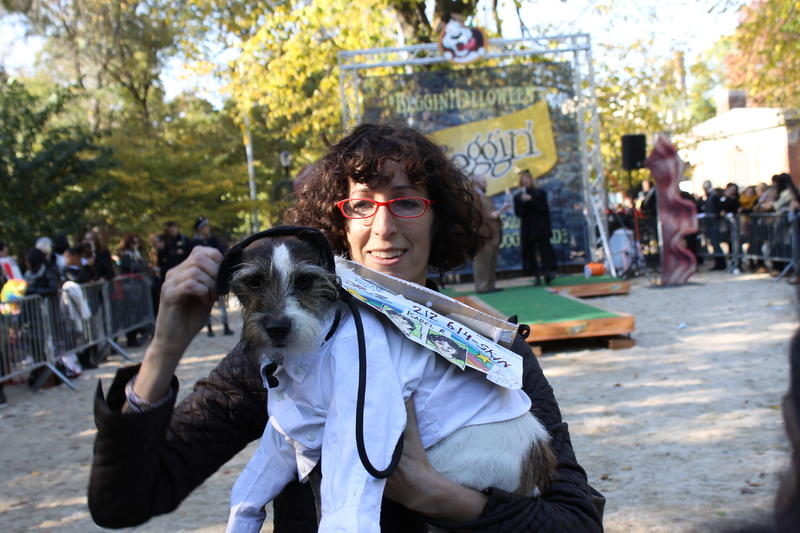 Dogs bring their owners from as far as Italy and Canada to participate. 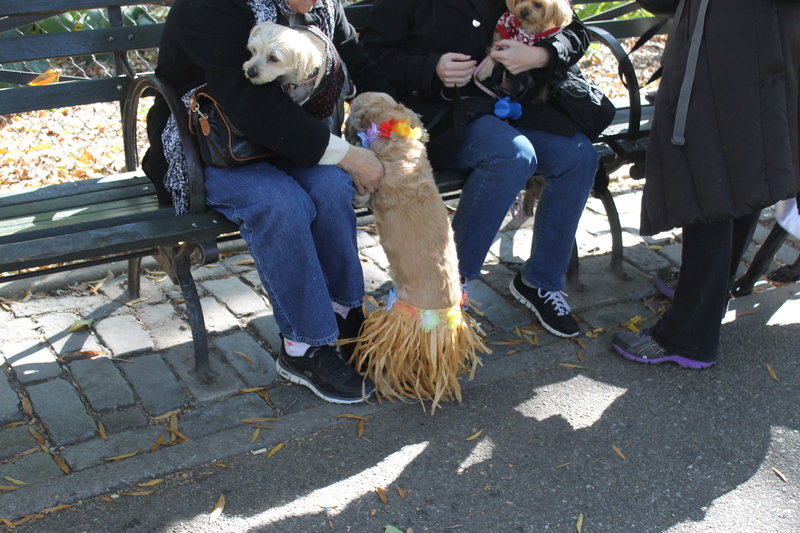 The warmer than usual weather brought out thousands to Tompkins Square Park in Alphabet City in the Lower East Side of NYC. 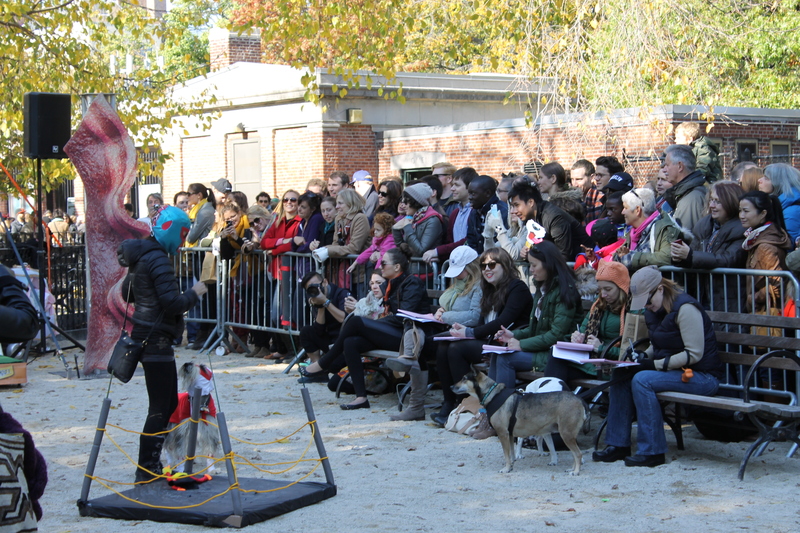 Normally the stage is set up in the dog run but the larger crowds forced use of the multi-purpose courts which made the best sense. 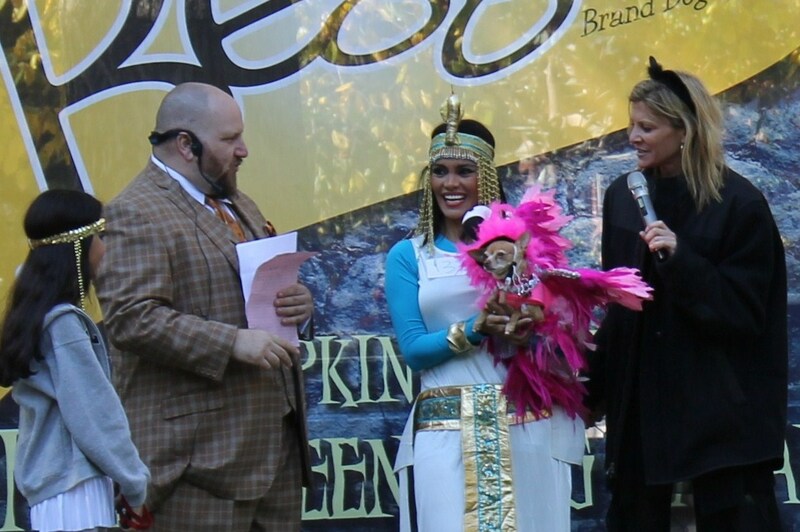 A stage was set up with 3 emcees announcing all the contestants. 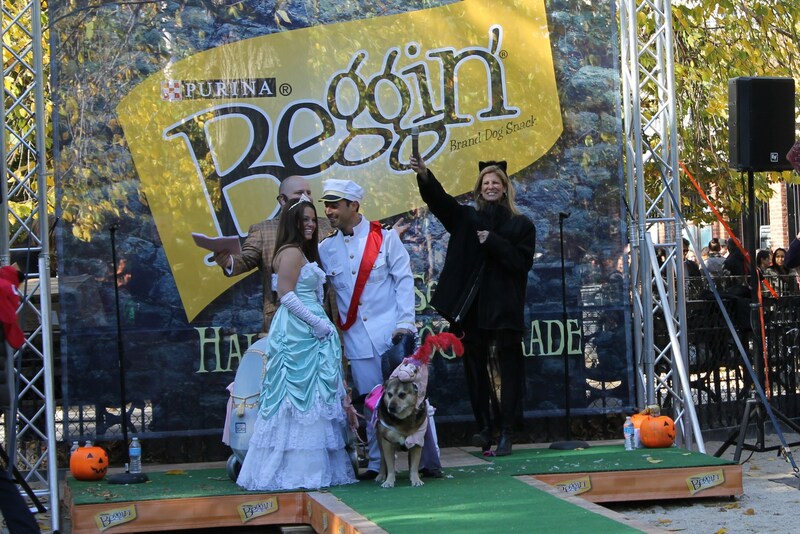 Sponsors including Rubie’s Pet Shop and about 4 rescue organizations contributed to gift cards for pet supplies. 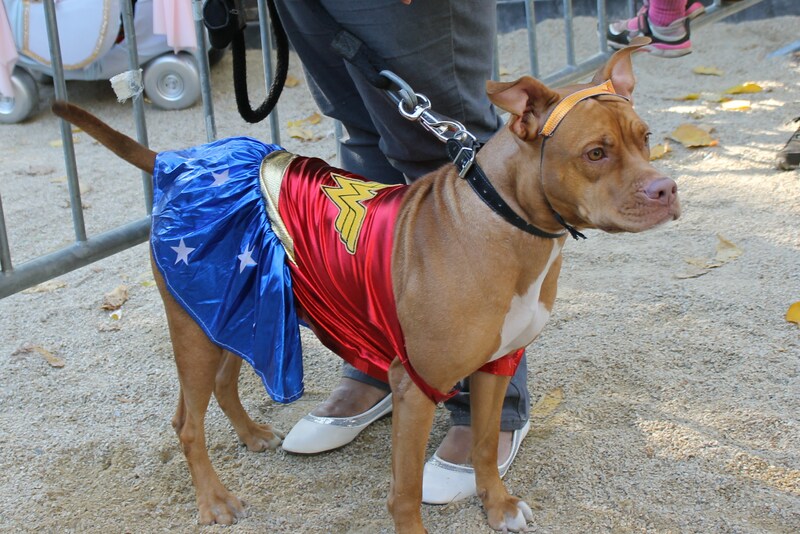 Some dogs were rescued from hurricane impacted areas of Puerto Rico, Florida, and Texas. 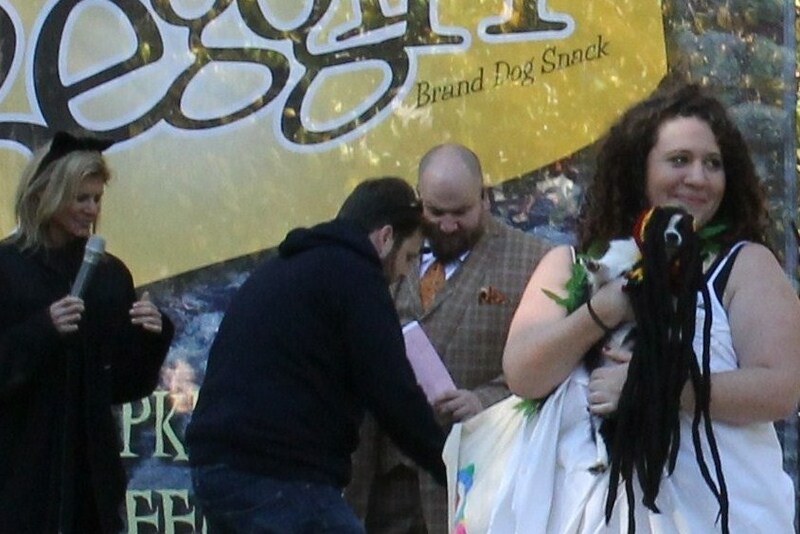 Pooches vied for the top Best In Show prize that was for $250 and tickets to Hamilton on Broadway. 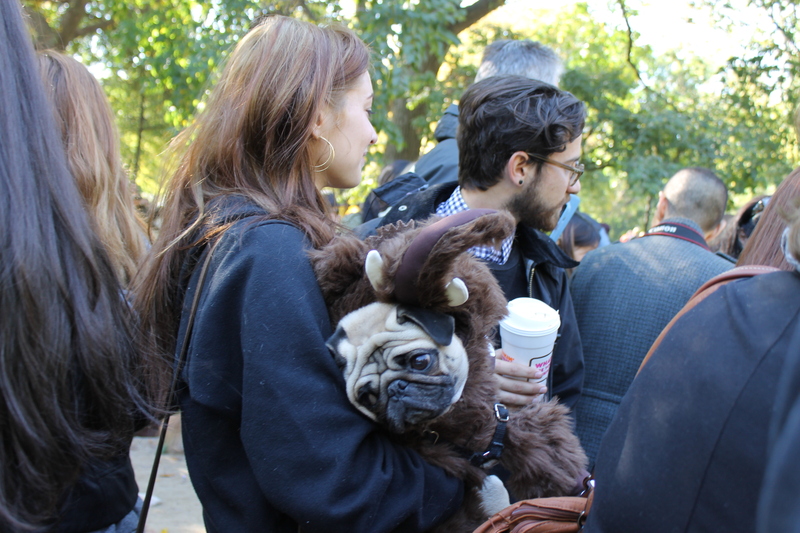 The parade is a precursor to the annual Village Halloween Parade and if this is any indication of what one can expect, the Halloween Parade will be just howling mad. 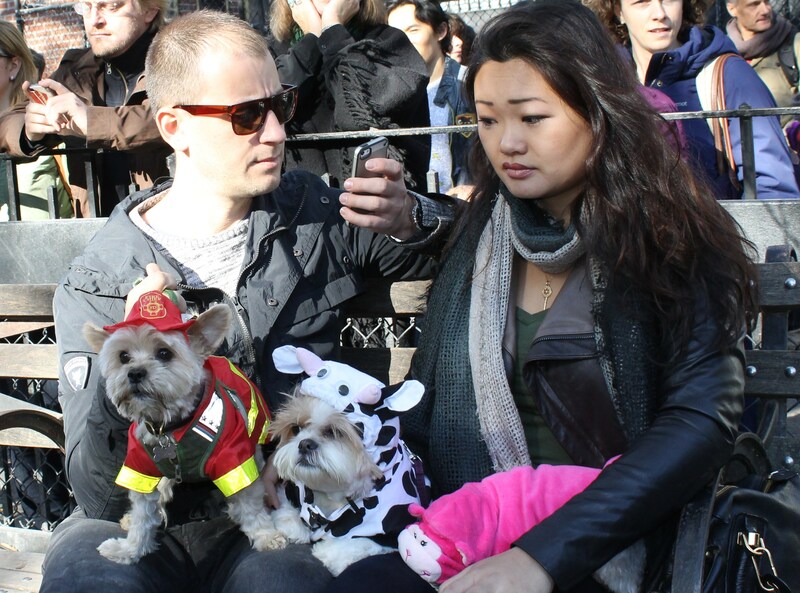 NYers are best known for their creativity and this parade was no exception. 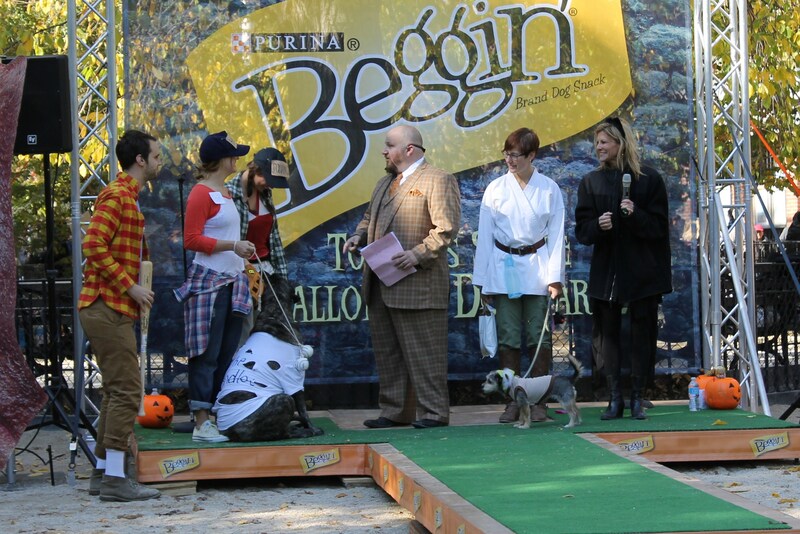 For those paws that stuck around for top prizes there was no disappointment at all. 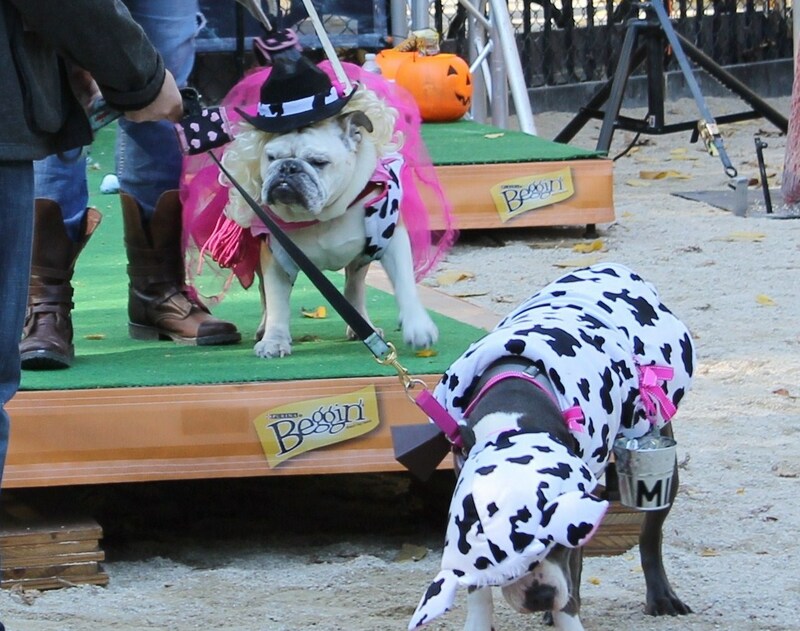 No one had bones to pick with anyone else. 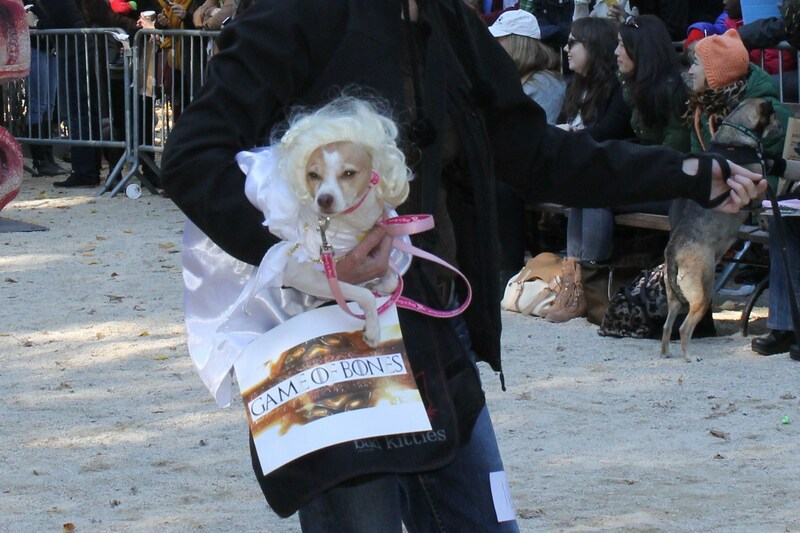 In third place was the the elegant yet hair raising Marie Antoinette. 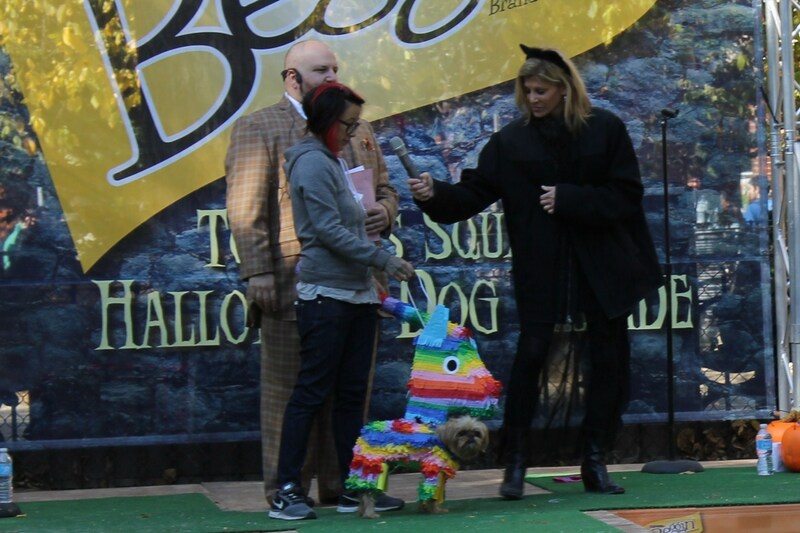 Digging into second place was the lovable Pawskank Redemption group recreating the famous prison cell from the famous cult-movie. 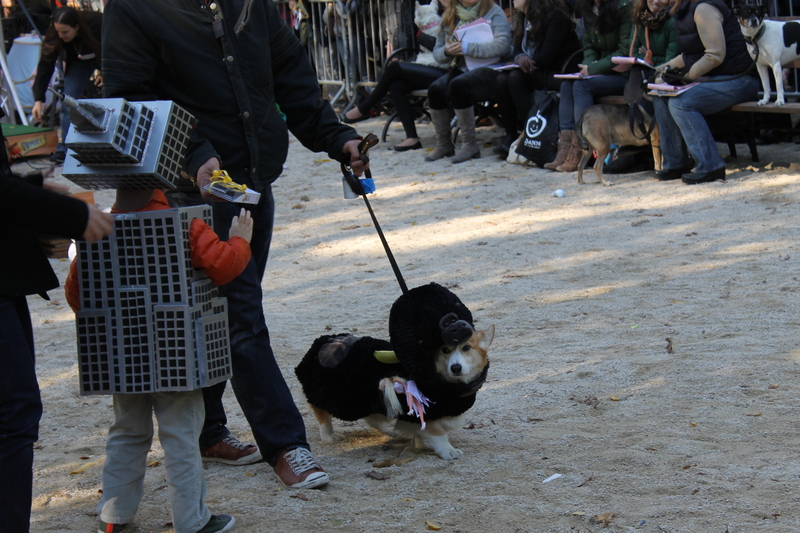 Muzzling every one else and leading the pack was the Pawline New York Sightseeing bus. 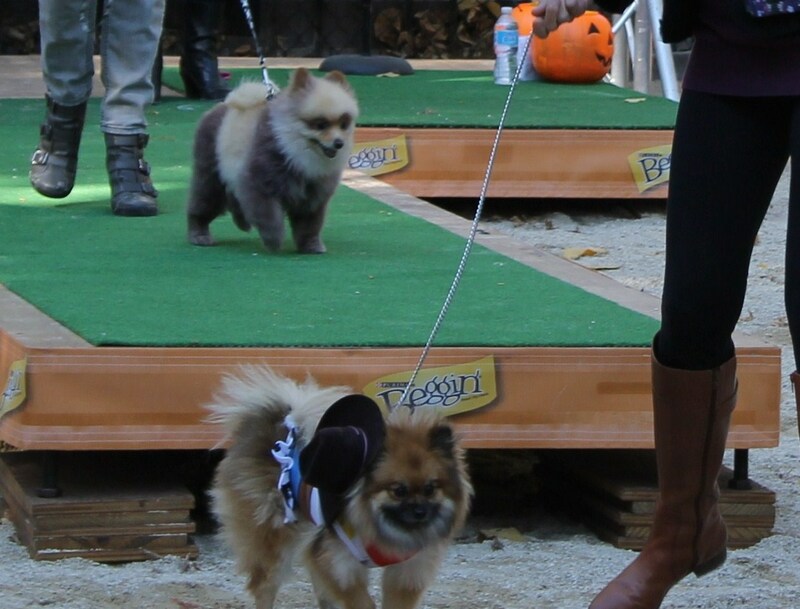 They were a nose above the other great contestants. 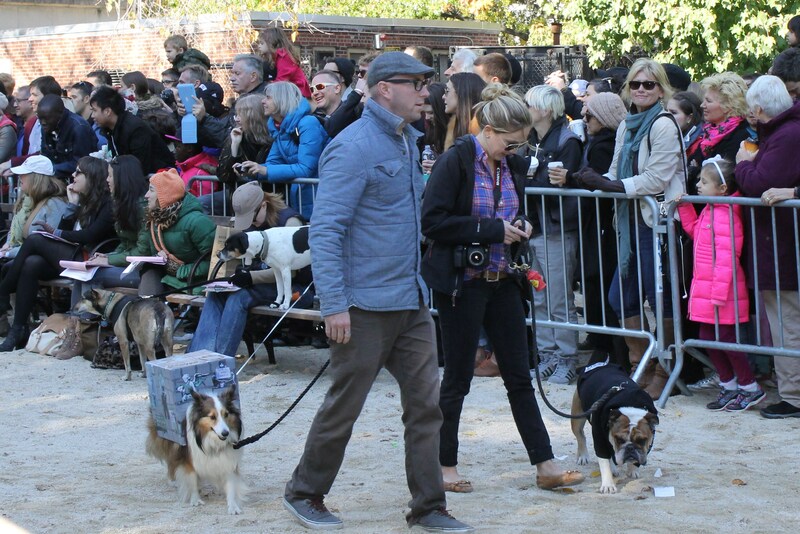 This is a great NYC event and is a must see for all animal lovers. 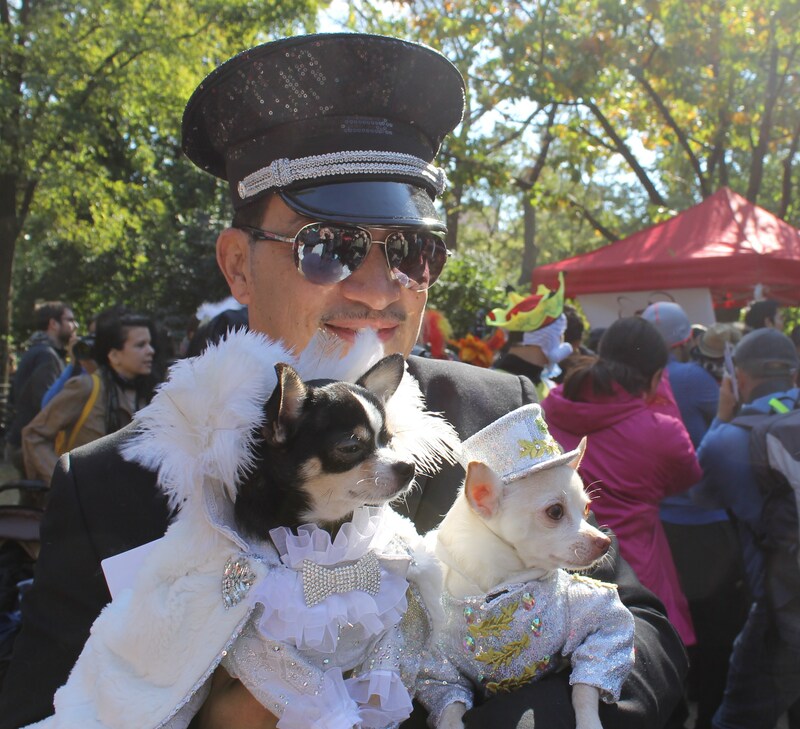 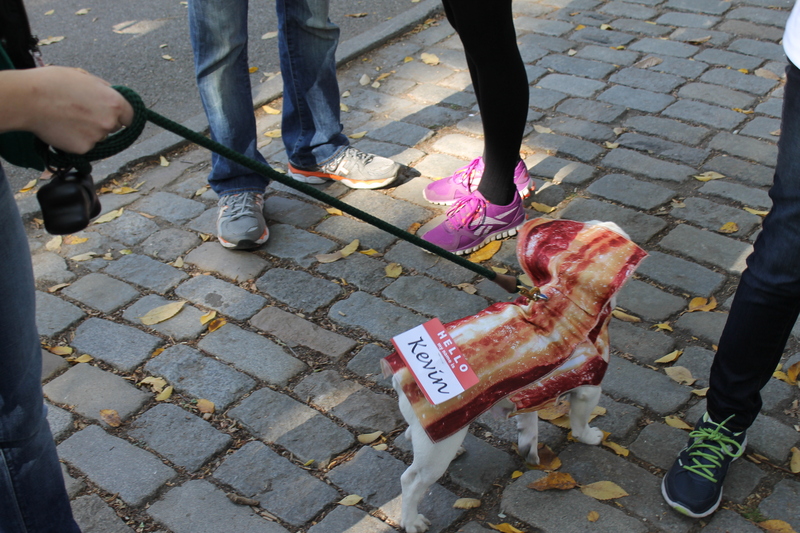 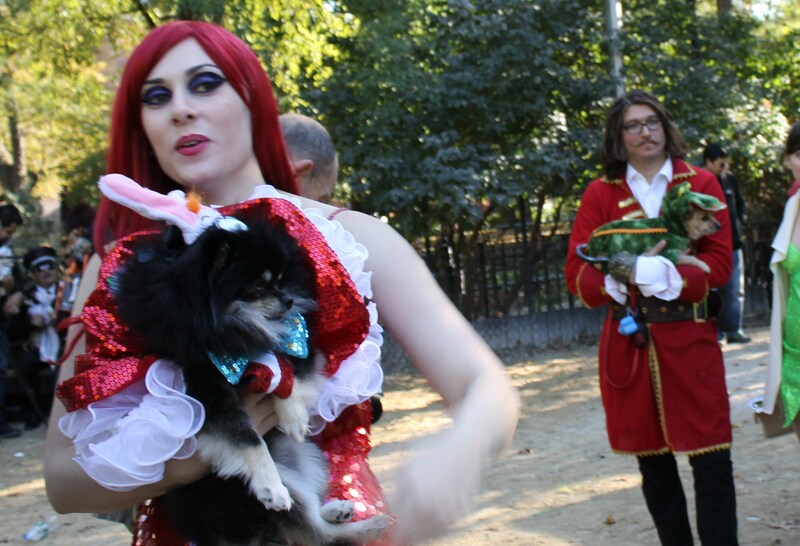 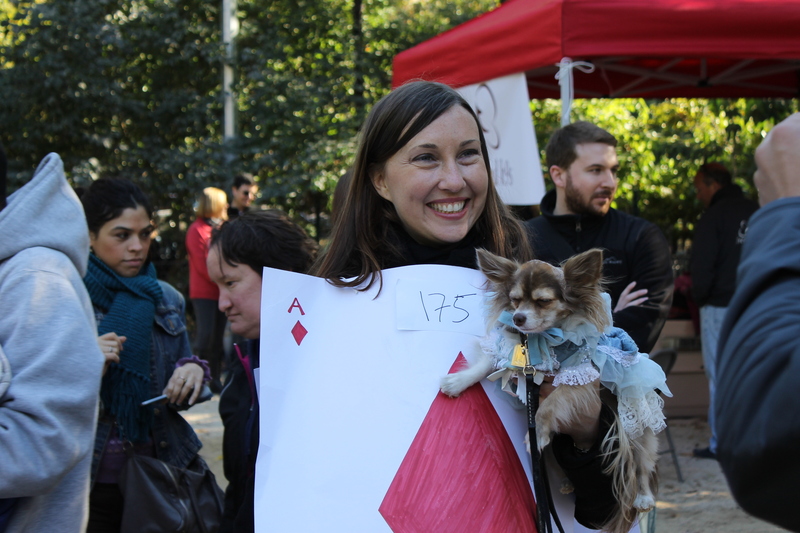 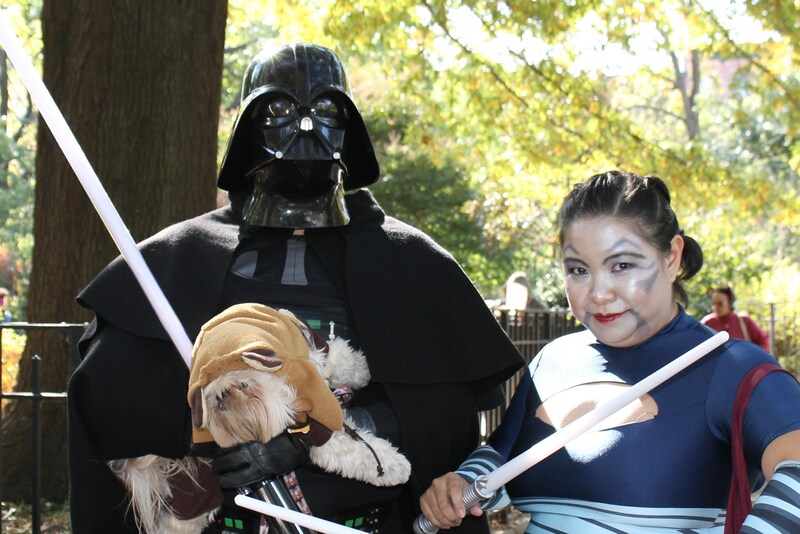 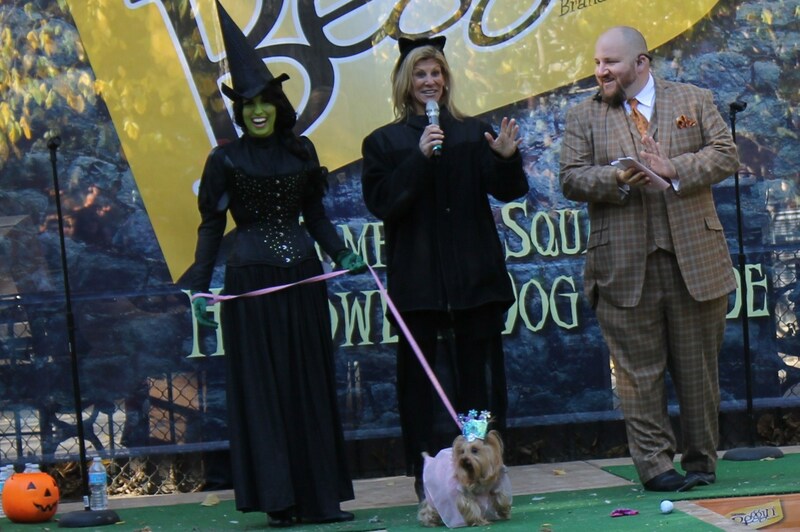 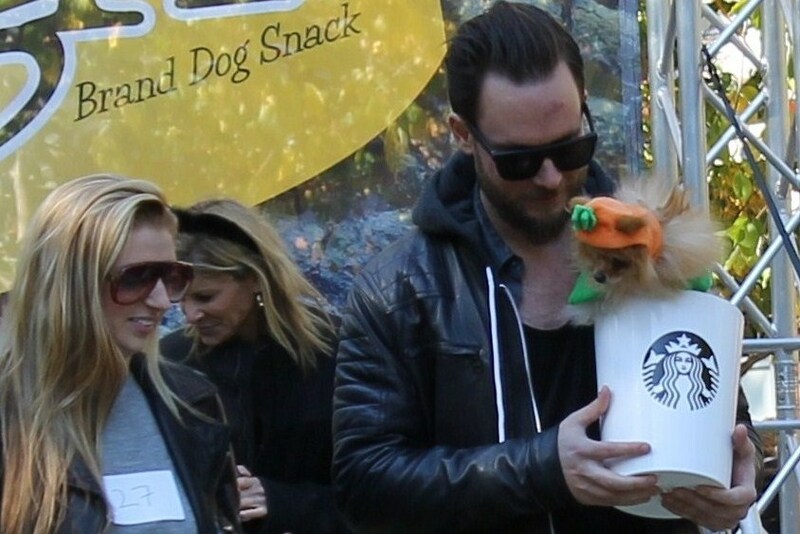 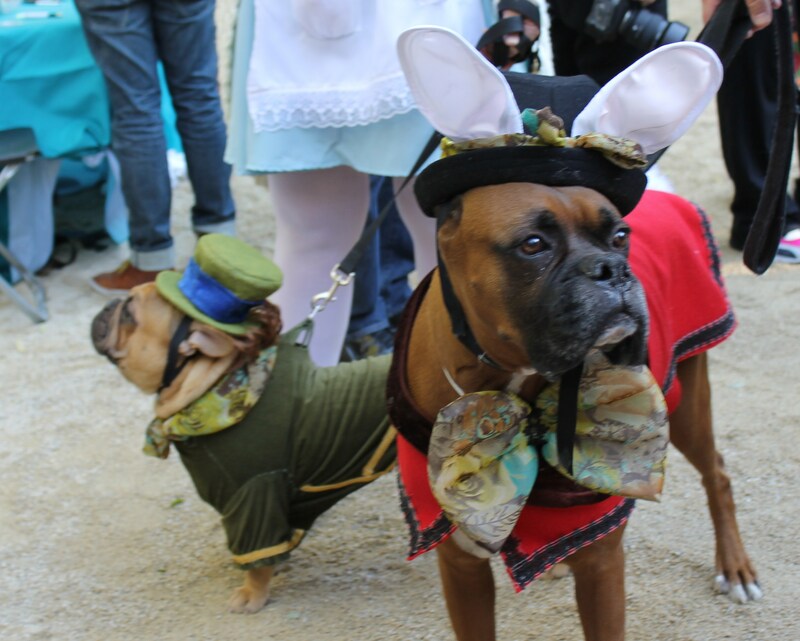 Our little furry friends dragged their owners over to Tompkins Square Park this past Saturday for the 23rd annual Dog Halloween Costume Parade. 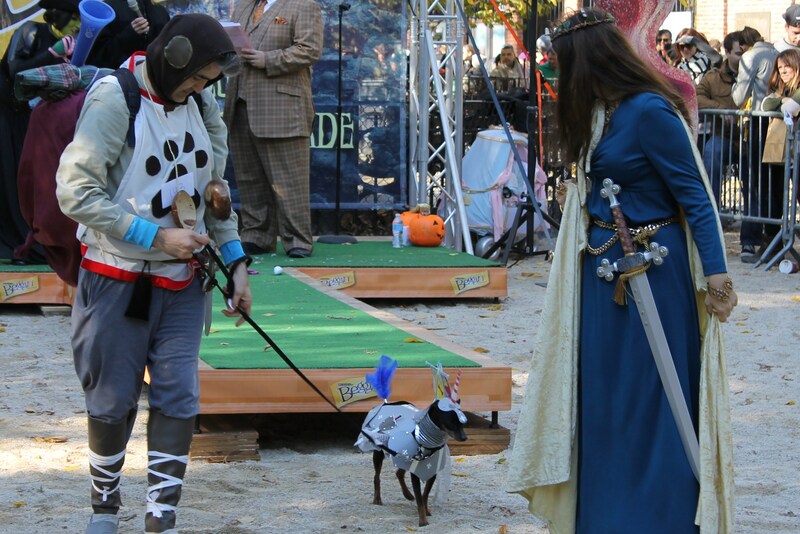 Hundreds of dogs dressed up for their owners in the hope of winning top dog..umm prize. 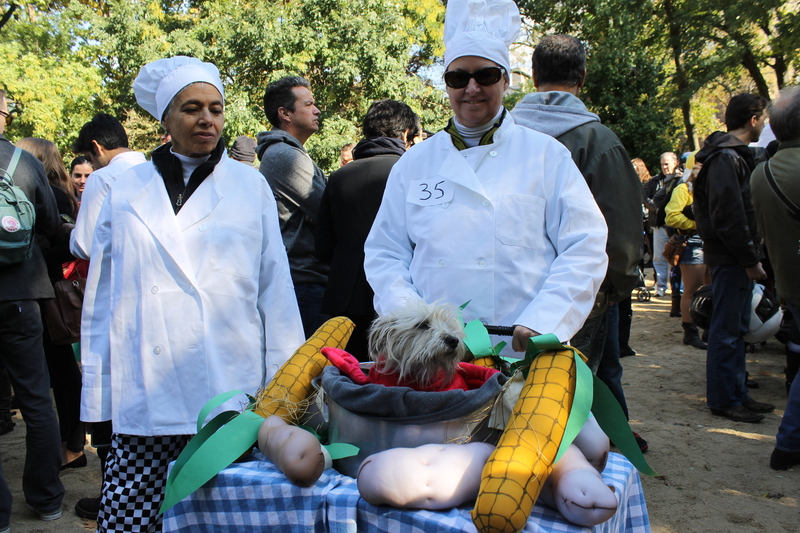 NYers have a reputation for being the most creative and inventive people in the country and they surely did not disappoint. 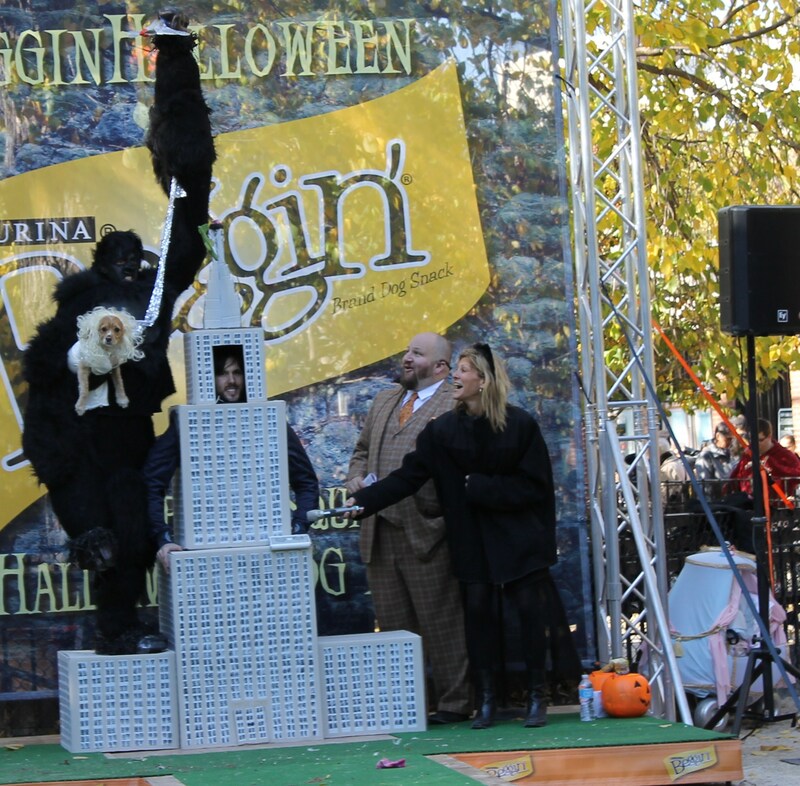 If this was a prelude to the biggest Halloween party in the country this Thursday, then the Halloween Parade in the Village will be one of the best ever. 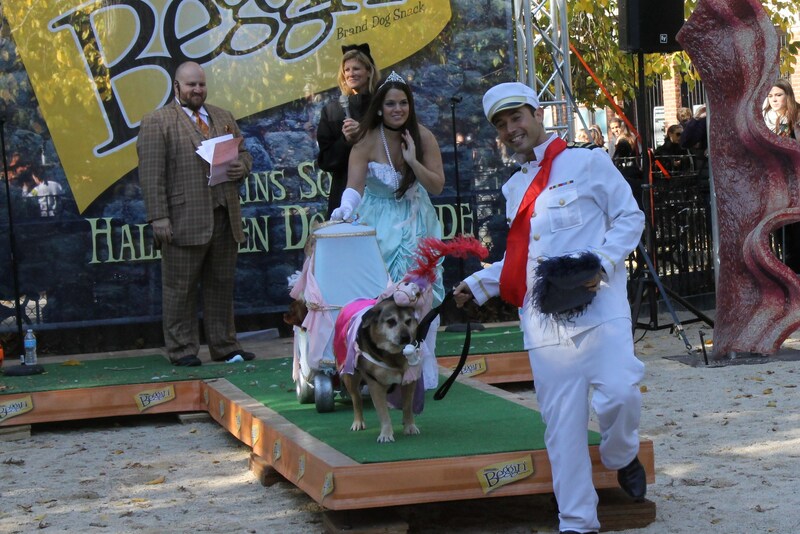 The set up for this parade was in the dog run in the park with judges on one side and two hosts introducing all the contestants and their owners with a runway to show off their costumes. 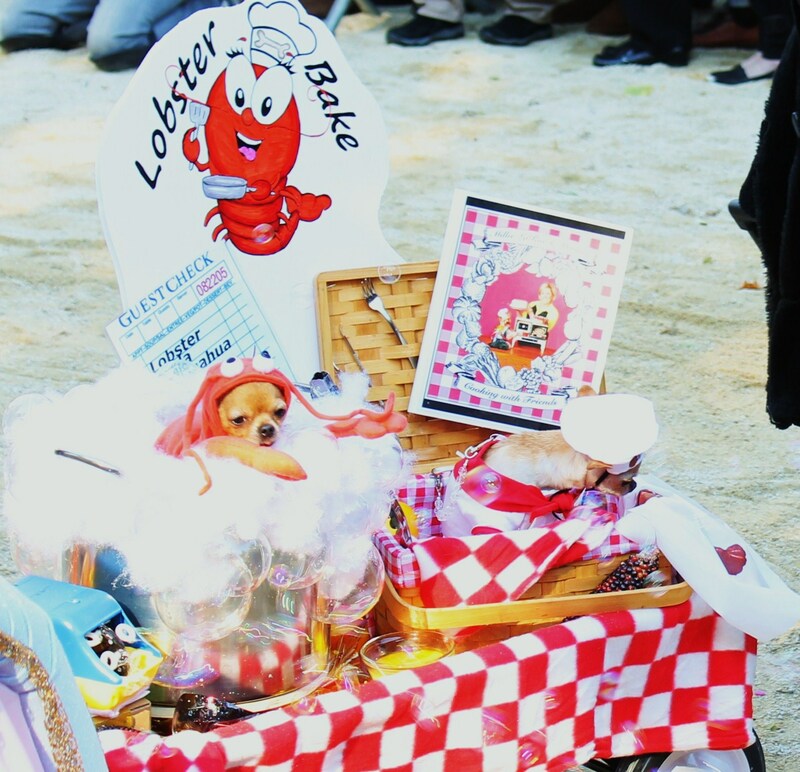 Since there were hundreds of entries, the showing was broken up into three parts and then the grand finale with the best in show prize. 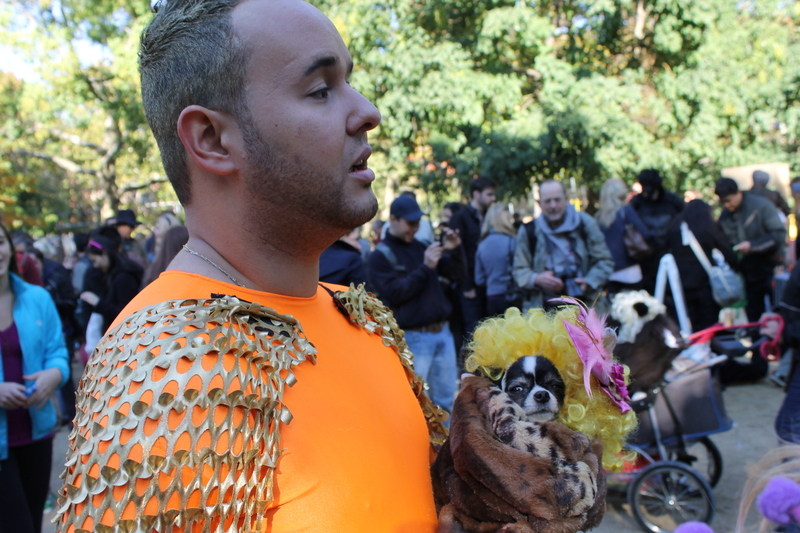 Probably the best part of the parade was seeing an entire family get dressed up to anyone of a number of themes. 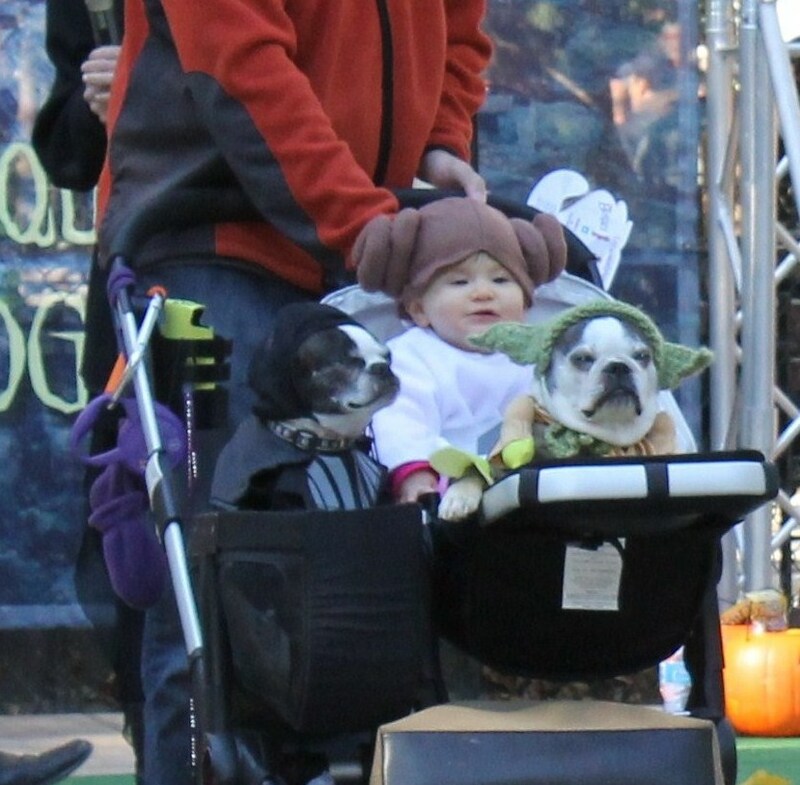 One that robbed the hearts of many was the Star Wars entry with two pugs as Yoda and Darth Vader while the cutest baby was Princess Leia. 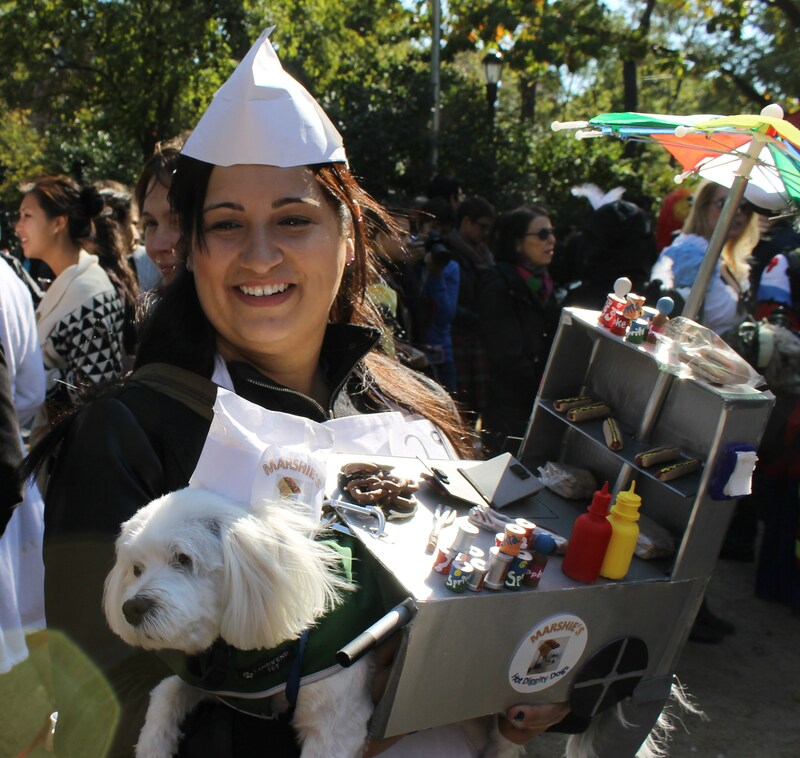 Then there was a family dressed as the cast from The Sandlot with a mastiff that looked like he ate a few dogs for lunch. 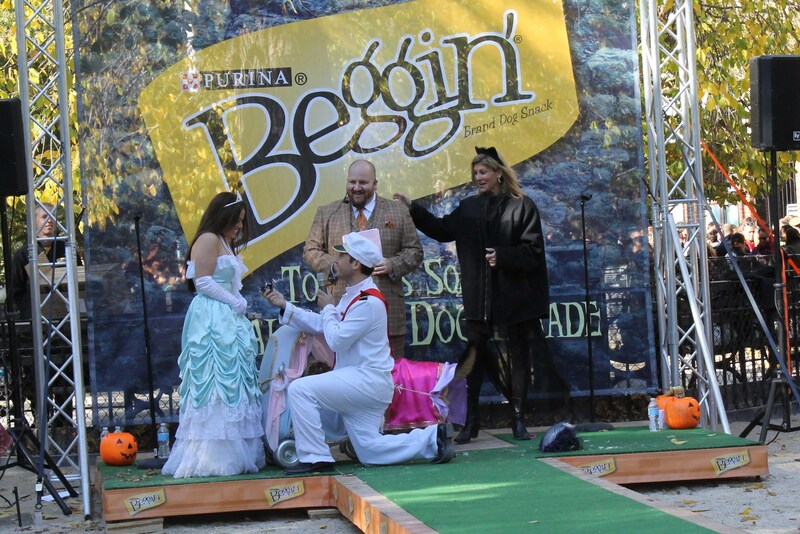 Probably one of the biggest surprises was the Dreams Do Come True entry when there was a marriage proposal just as they were being introduced. 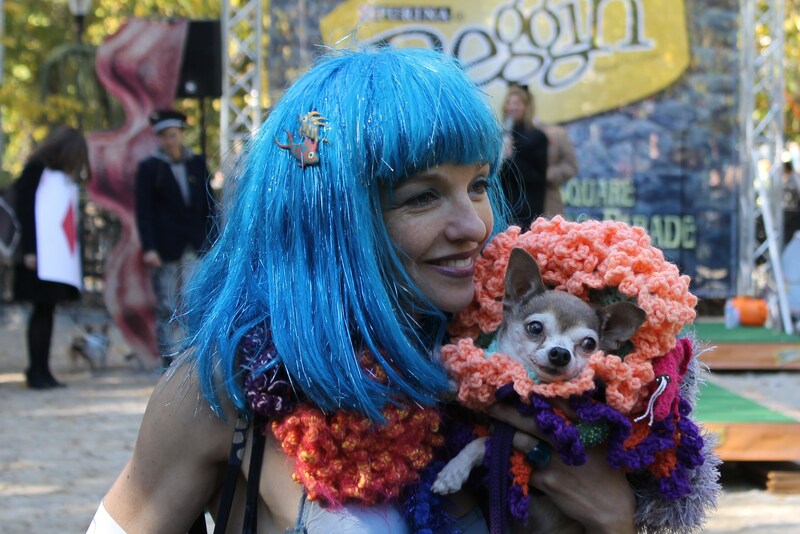 She accepted. 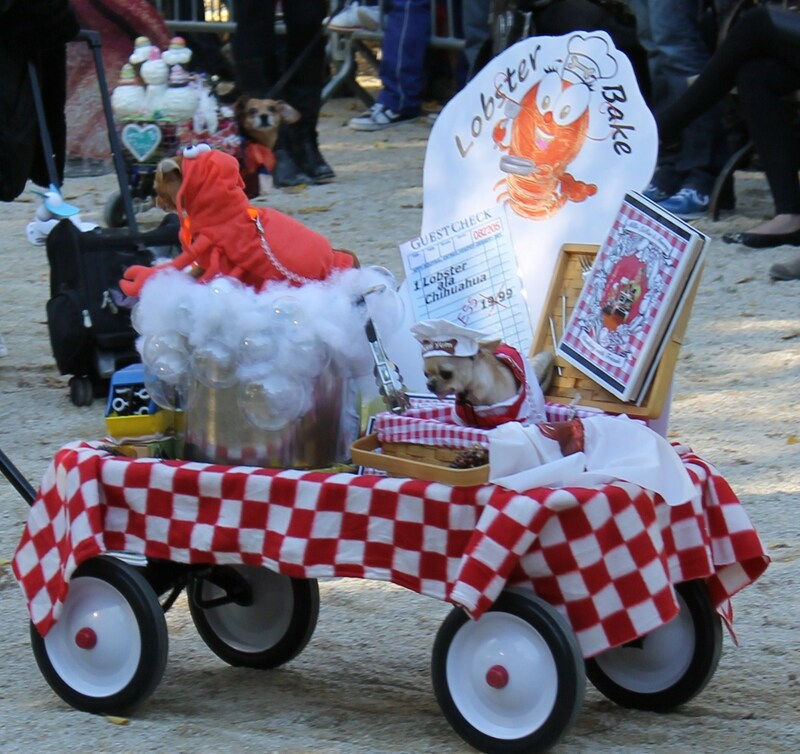 But the entry that directly followed them was the amazing Lobster Bake with two chihuahuas dressed as a chef and a lobster complete with kitchen and bubbles. 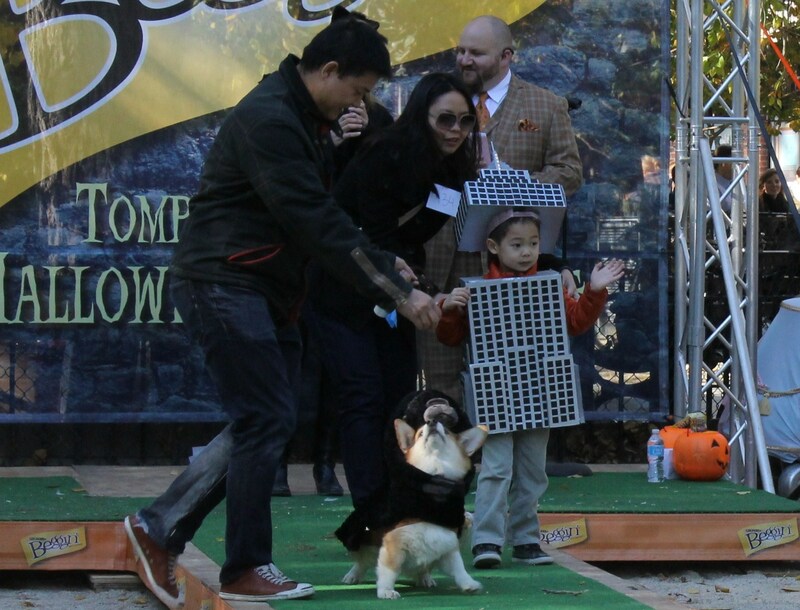 It won the award for the best in show in what was a record attendance for the event. 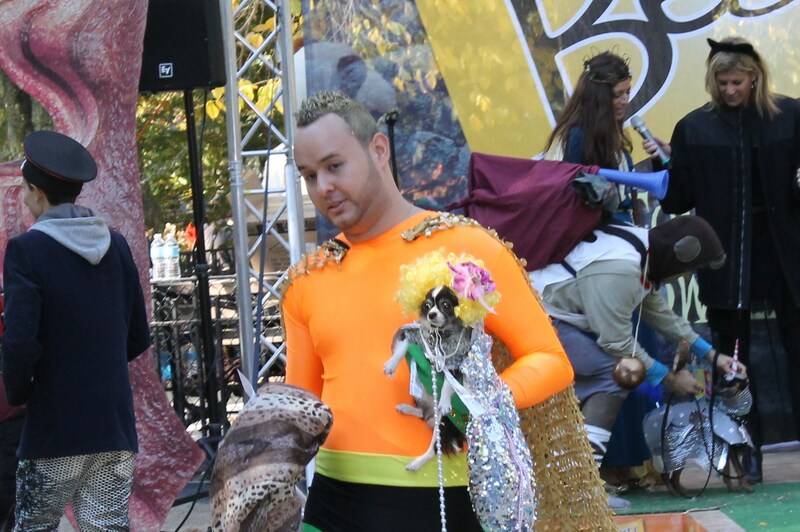 They really went over the top on this one and deserved it. 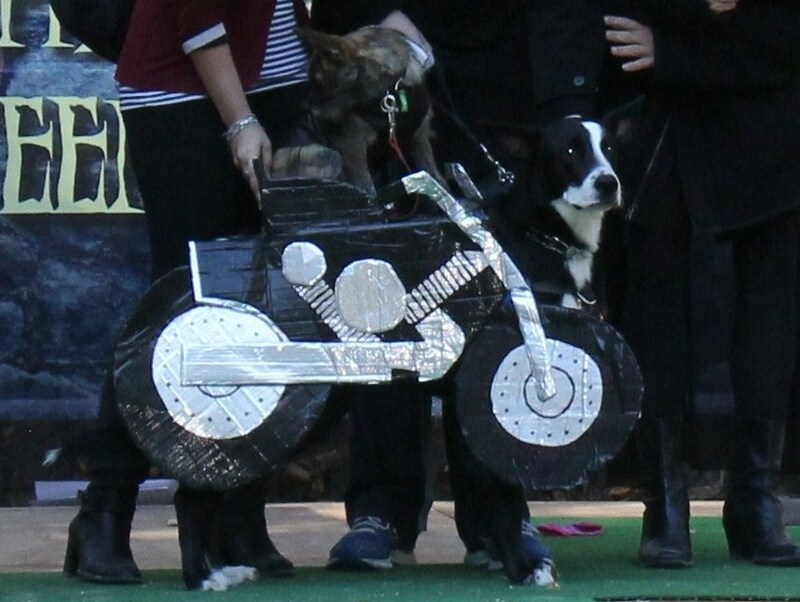 As far as parades go, it was a fun family event that you should experience once in your lifetime.